The most successful people manage themselves. Drucker outlines how to do that, including effective questions to ask yourself and others in order to make sure you’re playing to your strengths and that everyone is lifting each other up. Not allowing differences to become conflicts. Great achievers manage themselves, they do not require being constantly managed by others. But we never learn this skill in school, and it’s something we need to cultivate on our own. 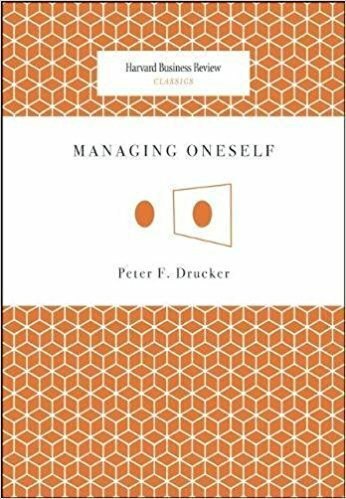 This book provides strategies to be a better self-manager, just as “The Effective Executive” helps with managing others. Focus on your strengths, do work where your strengths can produce resultsWork on improving your strengths, keep developing a competitive advantage in them.Find where your intellectual arrogance is causing ignorance. See where the gaps in your knowledge are and fill them in, even if you think they’re beneath you. He emphasizes spending your resources on making the good aspects of your skill set great, not on making the bad aspects mediocre. This applies on the individual, as well as organizational level. Drucker points out that most people are readers or listeners, and very rarely both. To learn and perform most effectively, you need to seriously evaluate whether you’re a reader, or listener, and focus on acquiring knowledge through the appropriate channel. Am I a reader or a listener?How do I learn?Do I work well with people, or am I a loner?If you do work well with people, you then must ask, In what relationship?Do I perform well under stress, or do I need a highly structured and predictable environment?Do I work best in a big organization or a small one? Do not try to change yourself— you are unlikely to succeed. But work hard to improve the way you perform. And try not to take on work you cannot perform or will only perform poorly. What are my strengths?How do I perform?What are my values? The answer to the question should be difficult to achieve and require you stretch yourself, and the results should be meaningful. Finally, results should be visible and, if at all possible, measurable. From this will come a course of action: what to do, where and how to start, and what goals and deadlines to set. To be effective with others you need to recognize their strengths and tendencies as well, and focus on helping them promote their strengths, not on trying to change them. You must also be responsible for effective communication.